The Museum of Natural Science has decided to remain open 24/7 to accommodate everyone who wants to see the Corpse Flower. At last check this afternoon, “Lois” was meeting all expectations. She had stopped growing, was turning purple and smelled like a dead rat up close, said horticulturist Soni Holliday. 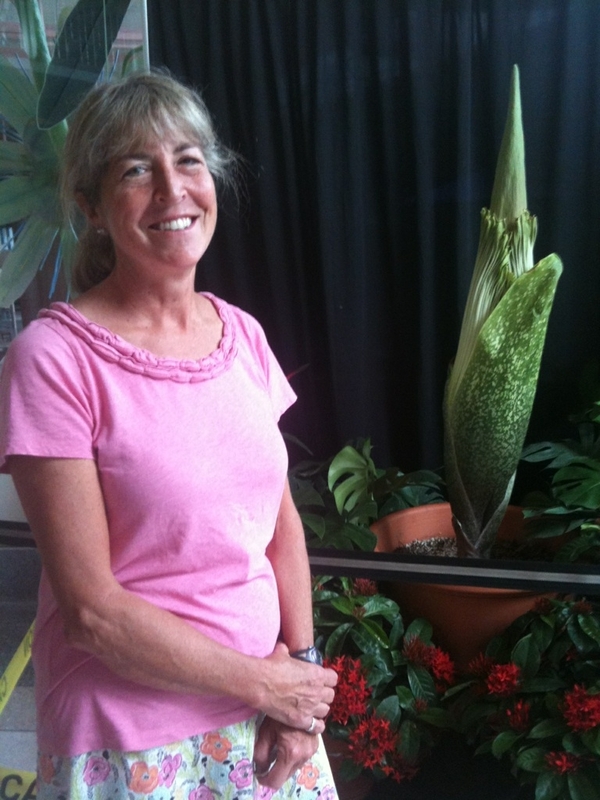 The museum staff is now predicting the corpse flower will fully bloom Monday night or Tuesday. When fully open, the flower will produce a smell similar to rotting meat or a dead body(corpse). The strong odor attracts natural pollinators, like carrion-eating beetles, according the museum, and will last for less than 24 hours. According the Museum, the blooming of this flower is a rare occurence. It’s been documented only once before in Texas and 28 times in the entire United States. The Corpse Flower is expected to bloom on Friday or Saturday. It will be a sight and smell you don’t want to miss!